New “one-stop” kiosks are bridging the digital divide and making information more accessible to older adults. 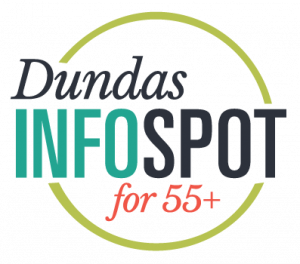 Responding to a community need, The Dundas InfoSpot for 55+ is a web-based computer application, curating information about programs and services in an age-friendly format. Led by the Hamilton Council on Aging, and supported by HCF, InfoSpot draws listings from Information Hamilton’s directory of community services. The kiosks use large touch-screen computers to ensure content readability, and wheelchair/scooter accessibility. Users can also print their search results in an age-friendly font size. The kiosks are installed at the Dundas Public Library and the Dundas Lions Memorial Community Centre where volunteers of the Dundas Active 55+ Steering Committee can assist InfoSpot users. In addition, InfoSpot is also accessible online from any computer.